Elementary and middle schools were asked to suspend outdoor activities as Beijing issued another orange alert for smog, which will go into effect beginning Tuesday. 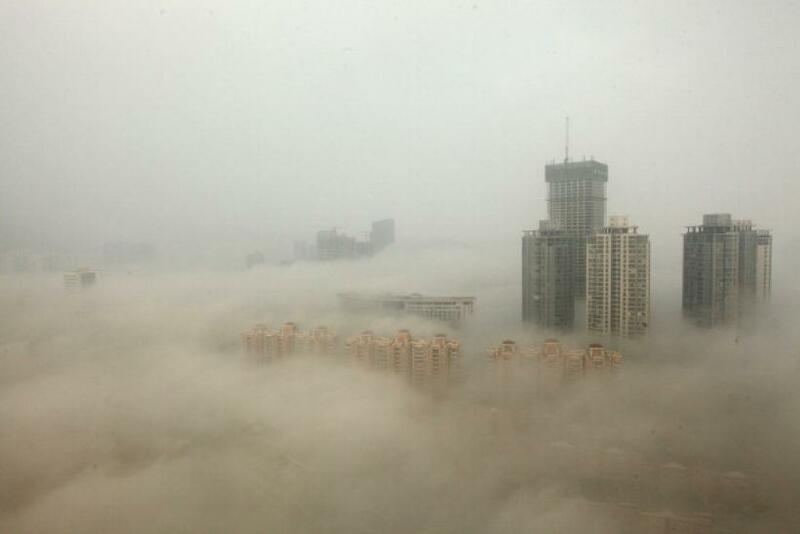 The warning comes a week after Beijing’s air pollution levels peaked to a year-high. Smog returned to envelop parts of northern and central China Sunday, local media reported, citing China’s National Meteorological Center (NMC), after it was reported that a cold front had succeeded last week in relieving the region of choking pollution that triggered a wave of recriminations among citizens and government departments. Medium to heavy smog will hit parts of the cities of Beijing, Tianjin and Hebei next Tuesday and Wednesday, though it won't be as severe as the air pollution reported earlier this week, the NMC forecast said. The city had issued its last smog alert on Nov. 29, after dozens of Chinese cities, including Beijing, recorded extremely high levels of pollution. An orange alert, which triggers the shutdown of factories and construction work, is the second-highest in the country's pollution warning system. Last week, after the smog lifted, the city enjoyed four days of clear, dust-free air before Sunday’s smog warning. However, public concerns and a debate about the causes of the deteriorating air quality have continued. Officials have continually blamed meteorological conditions like high humidity, temperature inversion and low winds, as well as emissions by coal plants and construction work. Meanwhile, citizens criticized the authorities for trying to downplay the seriousness of the situation. Last week, Beijing issued a yellow and then an orange pollution alert -- the third and second-highest levels respectively, instead of a red smog alert, which is usually done after three days of extremely high pollution levels. Last week, over 23 cities in northern China had readings of harmful particulate matter over 200 -- categorized as “seriously polluted” in recent days -- with readings in Beijing hitting what state media called an "astonishing" level of 900 Monday. However, Beijing environmental officials said that a red alert “would affect people’s daily life too much,” since it would not only involve closing schools, but halving the number of private cars on roads -- and reducing the number of government vehicles by two-thirds. While China has announced long-term plans to counter surging pollution levels by upgrading its coal power plants in the next five years, its policy makers are yet to arrive at a consensus on the major cause of air pollution, with various official bodies blaming vehicular emissions, winter heating systems and coal-burning power plants. 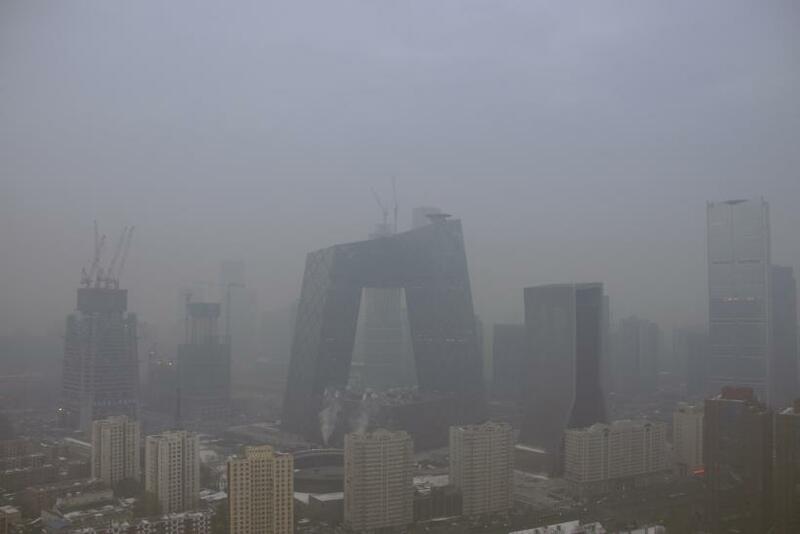 Last week, as Chinese social media sites filled with pictures of blanketed skylines and criticism of the government's failure to improve the situation, some Internet users reportedly ridiculed the timing of the latest smog alert, and suggested the global climate summit should be held in Beijing instead of Paris.